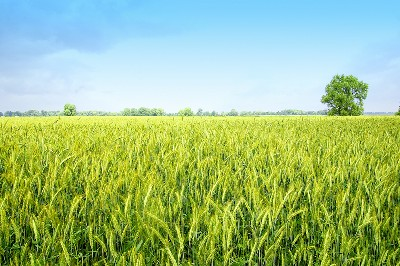 The northwest coast of the US is one of the largest producers of rye grass seed (aka ryegrass seed). 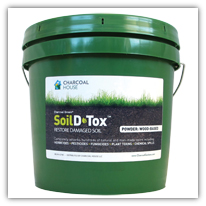 Vital to their production is the use of activated charcoal powder. Ken is the Agriculture Manager for Wilco a large agricultural supply cooperative. He shares how they apply the "carbon" (activated charcoal powder) as a slurry. We apply all our carbon in solution. We use a venturi to mix the carbon. In our case we are also mixing liquid fertilizer into the solution as it is used over the top of grass seed as it is planted. If we speak of rates in terms of broadcast acres (rather than a band) we are applying 300 pounds of carbon in 480 gallons of solution per acre. About ½ of that solution is fertilizer. As a rule I like to add at least 1gallon of water to one pound of carbon when we are mixing it without fertilizer. We use no more than a 25 mesh screen in our system. If I have seen anybody have a problem it is because they are using too fine of a screen. The solution is applied through a boom using 8/10/gal or 1 gallon tips. TeeJet Tips would read 8008 or 8010. Once mixed the solution must stay mixed. When it is in a tank waiting to be applied we recirculate it constantly. What I have found works best is to pump the solution back in through the top and into a PVC pipe teed at the bottom." For the correct Activated Charcoal application and bulk prices please Contact Us.